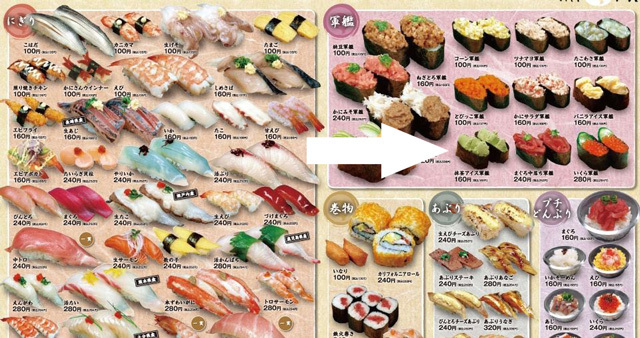 Kotaku East’s Brian Ashcraft reports that ice cream sushi is now a menu item at Japanese sushi chain Uokura. 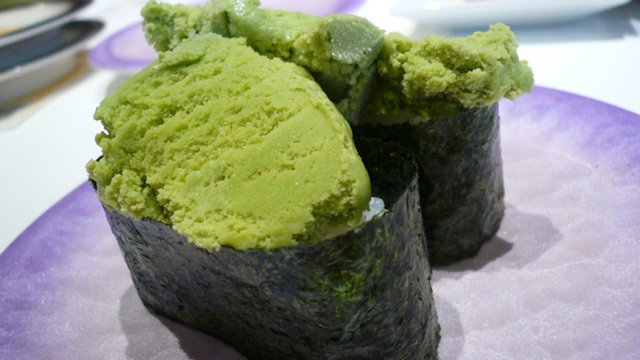 It consists of vinegared sushi rice (“sumeshi”), dried seaweed (“nori”), and is topped with vanilla and green tea ice cream. Please though, do not confuse this sweet sushi with this kind, as the latter is inedible.